4. All orders for goods shall be deemed to be an offer by you, the buyer, to purchase goods (for your personal consumption and not for resale or manufacture), pursuant to these terms and conditions. 6. No order submitted by you, the buyer, shall be deemed to be accepted by us unless and until we confirm acceptance of your order by e-mail [or (where applicable) by telephone]. 8. The appaerance of the goods may differ slightly from the images shown. 9. The price of the goods will be the price quoted on the website at the date the order is received. 10. We reserve the right, by giving notice to you, the buyer, at any time before delivery to increase the price of the goods to reflect any increase in the cost to us, which is due to any factor beyond our control (such as without limitation, any foreign exchange fluctuation, significant increase in the costs of labour, material or other costs of manufacture). 11. In the unlikely event of there being such an increase in the price of the goods you, the buyer, shall be entitled to cancel the order at any time before delivery. 12. On confirmation of acceptance of your order, under these terms and conditions, payment will be charged to the debit or credit card account provided by you, the buyer, on the website order form. 13. By placing an order, you, the buyer, consent to payment being charged to your debit or credit card account as provided on the order form. 14. Title to the goods will pass to you, the buyer, on payment in full of the price of the goods. 15. We will issue you with an electronic receipt to your e-mail address once the goods have been dispatched. 16. We are registered in accordance with the provisions of the Data Protection Act and confirm that any personal information including details of any debit or credit card account provided by you, the buyer, in the order form will not be disclosed to any third party. 17. Delivery/shipping costs are quoted for UK (including Isle of Man & Channel Islands) orders. Please contact us for shipping costs to international areas. 18. The goods will be delivered to you, the buyer, at the address provided by you on the order form. 23. You, the buyer, will inspect the goods as soon after delivery as is reasonably practicable and will notify us by e-mail of any shortages, defects in the goods or other complaint within 5 working days from the date the goods were delivered. IF YOU, THE BUYER, FAIL TO COMPLY WITH THIS CLAUSE WE WILL NOT BE HELD LIABLE IN RESPECT OF ANY SHORTGAGES, DEFECTS OR OTHER COMPLAINT WHICH SHOULD HAVE BEEN BROUGHT TO OUR ATTENTION WITHIN THIS PERIOD. ii. after confirmation of acceptance of the order by giving notice of cancellation by e-mail to websales@harveyshairclublondon.co.uk quoting your name, address and order reference number, and where you have already received the goods returning the same unopened together with the original invoice within 7 days from the date of delivery. On receiving notice of cancellation or return of the goods whichever is the later we shall, subject to the return of any goods in the condition in which they were delivered to you, re-credit your debit or credit card account no later than 30 days from the date on which the delivery was made. 29. 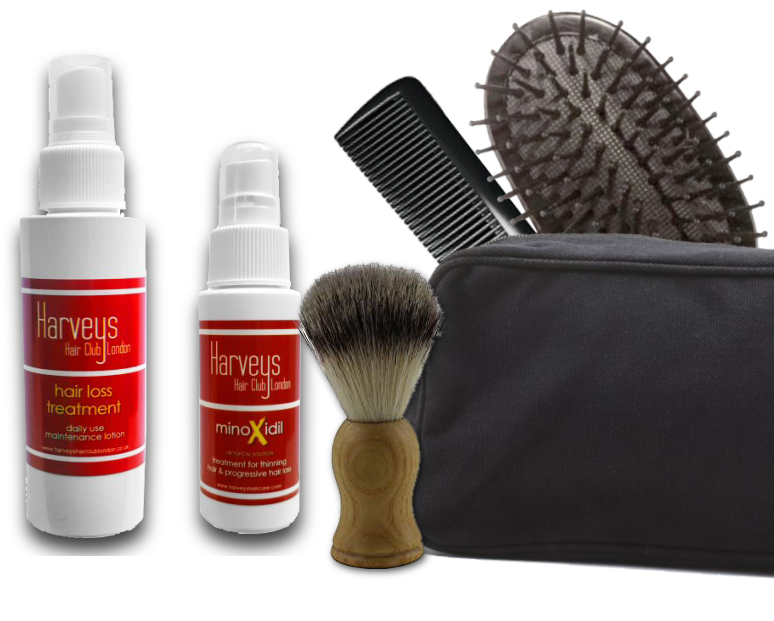 The copyright in the material contained in this website and any trademarks and brands included in that material belongs to Harveys Hair Limited or its licensors. 30. You may download or copy the content and other down-loadable items displayed on the website subject to the condition that the material may only be used for personal non-commercial purposes. Copying or storing the contents of the website for other than personal use is expressly prohibited.